Whether you are planning your next trip to Italy or enjoying a glass of Chianti from home, we have some good news for Italian wine lovers (and Italy’s economy!) After the 2015 harvest, Italy is set to reclaim its spot as the world’s biggest wine producer. 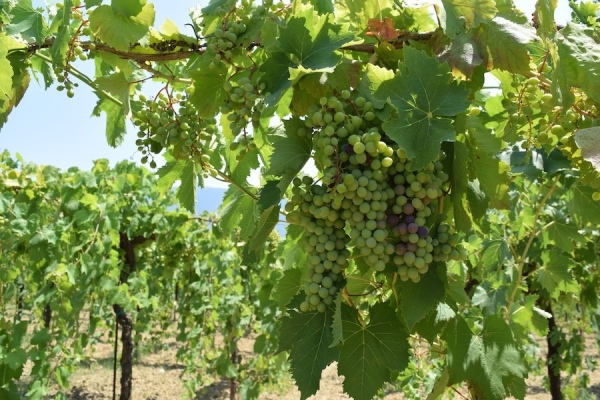 This year’s production bounced back from last year when strong rains spoiled yields of popular Italian grapes. This year, Italian winemakers increased production volume by 10% to 48.9 million hectoliters, equivalent to approximately 6.5 billion bottles of vino. This figure puts Italy ahead of France, which will increase output by only 1.2% to produce approximately 47.4 million hectoliters. This data comes from the International Organisation of Vine and Wine, or OIV. In 2014, Italy’s wine industry was worth 4.55 billion euros (approximately $5 billion USD), which adds up to 9.4% of the country’s total agricultural output. The 2014 numbers were down 18% from the previous year, as grape crops were hit by strong rains which caused fungal diseases, mildew and botrytis in the vines. Italy has produced wine since pre-Roman times, and takes wine production very seriously. “Last year wasn’t a disaster, but we were overtaken,” Carla di Paola, Italy’s representative to the OIV, said in an interview in Paris. “Wine is part of our tradition, being number one is important.” Di Paola added that growth in producing sparkling wine, such as prosecco, is boosting the Italian wine market. In previous years, Italy held the top spot in terms of volume, but France remained a bigger market by value, partially because of high-priced varietals such as champagne. In the next year, global wine production is expected to increase by at least 2%, nearing a total of 275.7 million hectoliters, according to OIV estimates. While production in some countries such as Spain and Argentina is declining, worldwide output continues to increase with higher than ever output from countries like Italy and France. Spain, the world’s third largest producer, witnessed a 4.2% decrease in production this year, producing only 36.6 million hectoliters. Meanwhile, Argentina posted a 12% slump, down to 13.4 million hectoliters, while the United States will increase a meager 0.5% to 22.1 million hectoliters in 2015. The OIV estimates global consumption of wine to be around 235 to 248 million hectoliters, so do your part and drink up!